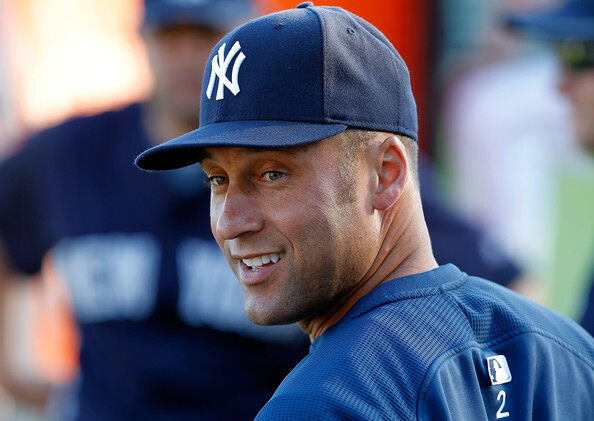 The Jeter marriage thing is bogus? Craig Calcaterra reports that the whole Derek-Jeter-getting-married thing is baloney. The story: it’s Derek Jeter’s sister Sharlee Jeter. SI.com’s Jimmy Traina says he heard some details of the wedding a few weeks back and that the NY Post report is accurate. So are they getting married or aren’t they? The Cincinnati Reds sign Aroldis Chapman for five years, $30M. We all knew the Yankees were out of it for a while, so we didn’t get our hopes up. Mike Silva looks to cmpare the 2010 Yankees and Red Sox rotations. River Ave. Blues talks about what role Alfredo Aceves will have this upcoming season. According to the New York Post, Minka Kelly and Derek Jeter are headed to the altar later this year. The two have supposedly settled on November 5th as the wedding date. It’s at least two days after the World Series ends. That means he might have an extra World Series ring on his finger if things go as planned.